For consumers, the days between Halloween and Christmas are defined by the general chaos of spending an inordinate amount of time shuffling in and out of shops, both in-store and online, trying to find the perfect present for the most ideal price for each person on their shopping list. For retailers, the days between Halloween and Christmas are spent in a much deeper state of chaos: frantically deploying resources during all hours of the day to meet the dramatic increase of customers’ needs and demands during the holidays – all while keeping their bottom line intact. Sales during the holidays account for 20-40% of the average retailer’s total annual sales, with sales during the winter holidays outpacing the total spent during all other holidays combined by hundreds of billions of dollars. Charts from the NRF Foundation’s Retail Insight Center. To access this data and more research please visit the Retail Insight Center. The National Retail Federation predicts that “sales in November and December (excluding autos, gas and restaurants) to increase a solid 3.7 percent to $630.7 billion – significantly higher than the 10-year average of 2.5 percent. Online sales are forecast to increase between 6 and 8 percent to as much as $105 billion.” Consumers are expected to spend an average of $805.65 this holiday season. Retailers of recent years have been all too aware of just how rampant it can be. Fraud prevention is key during the holidays: when surveyed, one retail loss prevention executive is quoted to have said “Improve pre-holiday sales staff training” when asked when he will be doing differently for Holiday 2015. In order to combat fraud through fraud prevention during the holidays, retailers need to pinpoint the types of fraud that are most prevalent during the rush of holiday sales. 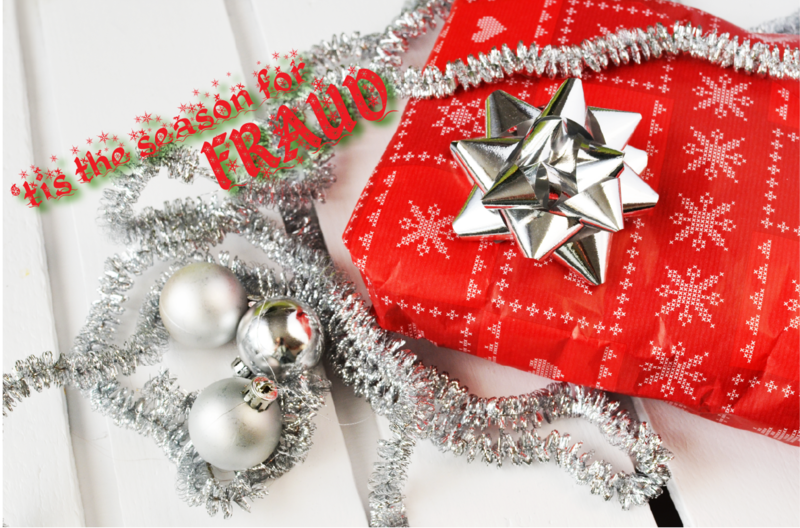 Some of the most common types of holiday sales fraud are the use of counterfeit money, return fraud, and gift card fraud. With the convenience and the almost universal acceptance of debit and credit cards, it could be assumed that consumers will rely heavily on payments in the form of cards. However, due to massive data breaches in the past few years at the some of the largest retail chains, such as Target, and financial institutions, such as JPMorgan Chase, fresh on the minds of consumers, many have expressed their intent to make as much holiday purchases as they can with cash. “It could have happened to me, so it freaked me out . . . . I’ve already been a victim of a cyberattack on my website, and that was difficult to fix it." Karen currently uses cash for the majority of her shopping, not matter the time of year. According to an NRF survey, consumers are planning on doing the majority of their holiday shopping at discount shops and department stores, supplemented by shopping online, at grocery stores, and clothing/accessory shops. It is estimated that 46.1% of all holiday sales will occur online, meaning that 53.9% of all holiday sales will occur in-store. Movies and television shows have created the idea that criminals use counterfeit cash when making illicit deals with each other, but in reality, this is simply not the case. Counterfeiters actually have a difficult time finding clientele for the fake money stateside; instead, they sell the counterfeit cash to foreign criminals who can more easily spend counterfeit us cash overseas. And once the fake money is spent, it quickly finds its way into the hands of the unsuspecting public and back into the US. With both individuals at home and criminal masterminds creating counterfeit cash, retailers can be sure that some of this counterfeit cash will find its way into their stores. Whenever there is an expected uptick in sales, especially during the holidays, you can expect that there will also be a reciprocal uptick in fraudulent activities. And with $630.5 billion in expected holiday sales, there is sure to be a proportional rate of fraud, especially return fraud. It was estimated in 2014 that holiday return fraud cost retailers about $3.8 billion. Although ‘return fraud’ sounds like a rather niche kind of fraud, 92.7% of retailers polled said that they experienced return fraud in the form of stolen merchandise during the past year, with 78.2% of retailers stating that one or more cases of return fraud involved an organized retail crime group. in fact, the survey found that 5.5% of returns, which amounts to approximately 1 in 20, are done by con artists. these levels of return fraud by organized retail crime groups can seriously threaten retailers’ bottom lines. What is Gift Card Fraud? During the recent years, gift card fraud has become more and more frequent due to the rising popularity of giving gift cards as presents. Gift card fraud typically describes a process in which a criminal obtains a list of gift card numbers from gift cards on display either by discreetly writing them down or skimming them using a card reader. he/she will then check the gift card numbers online until one of the listed cards has been purchased and activated. once the gift card has been activated, the criminal can then transfer the balance on that gift card to another card or convert the balance into cash, leaving the person who received the gift card with zero balance. For any business, the loss comes out of their bottom line; small businesses can’t afford to lose much. The solution: If you weren’t aware, merchants needed to upgrade their POS terminals to be EMV-compliant lest they want to be liable for all financial losses from credit card fraud. You can either upgrade all your POS terminals or supplement your existing POS system with a counterfeit detection unit. Is your loss prevention protocol up to industry standards? 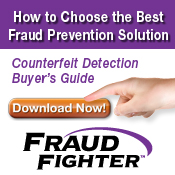 Let us help you determine if your loss prevention protocol is fraud-proof. Want more information about preparing your business for the holiday season? Is your business prepared for the holidays?